Dr. Sawsan Tabbaa will never forget a child named Ahmad. The JU School of Orthodontics Clinical Associate Professor was handing out free Give Kids A Smile dental kits containing toothpaste, toothbrushes and instruction cards to 300 Syrian refugee children at the Islamic Center of Northeast Florida in February. She noticed one young boy who kept taking kit after kit. She wondered what he was doing, his hands stuffed full of the plastic bags. 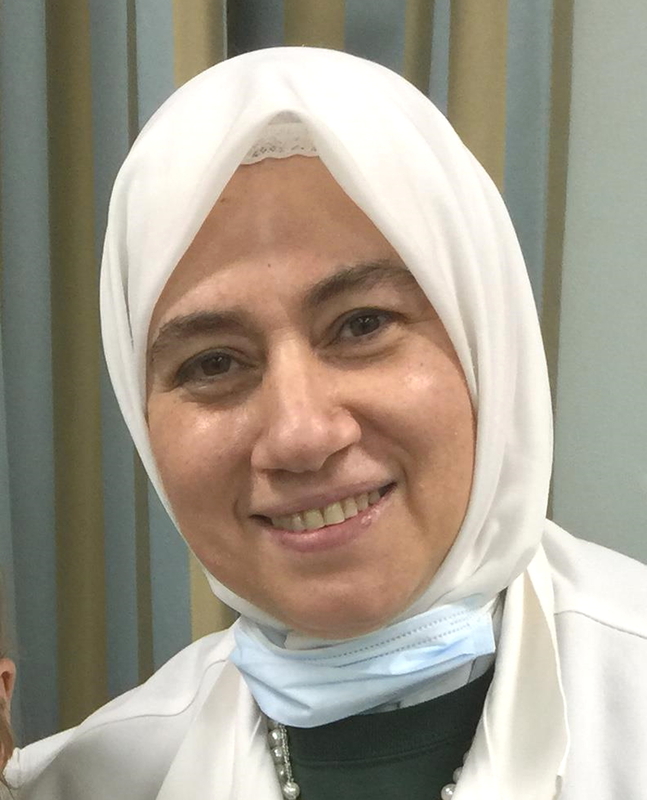 Then Dr. Tabbaa, who was born and raised in Damascus, Syria, learned why. 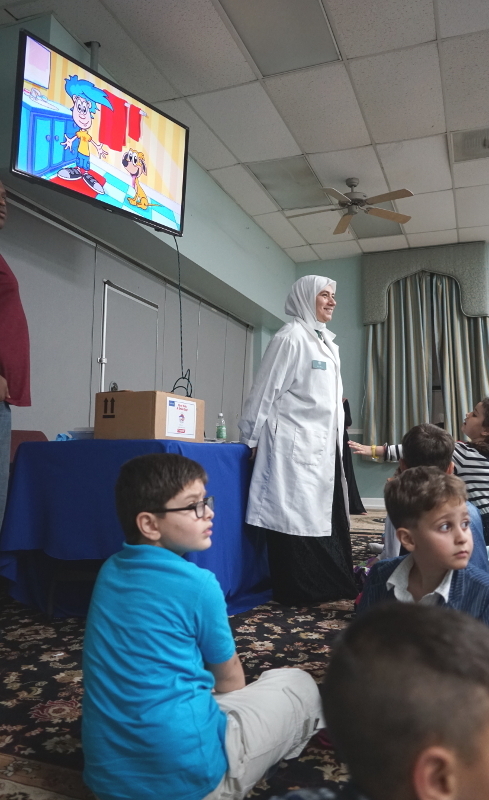 Syrian refugee children at a recent JU Give Kids A Smile free dental care instruction event at the Islamic Center of Northeast Florida. 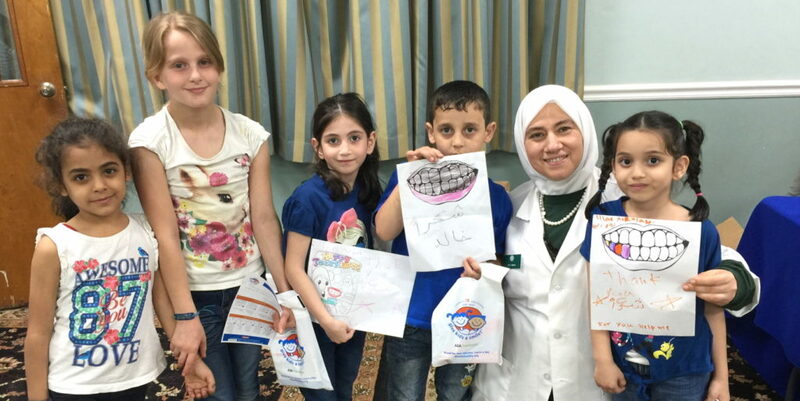 Dr. Tabbaa held the Give Kids A Smile event in coordination with the School of Orthodontics at JU’s Brooks Rehabilitation College of Healthcare Sciences. All told, this year she plans to hand out 1,000 kits to community children — the largest GKAS effort in Florida. 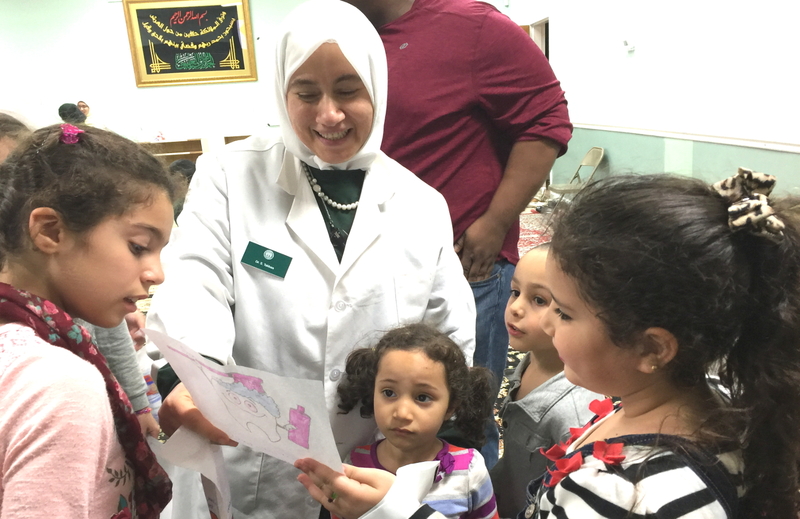 The American Dental Association Foundation’s annual national GKAS effort provides free dental care instruction to children who desperately need it. 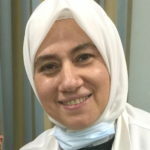 Dr. Tabbaa applied for the kits and received 1,000 earlier this year, the maximum amount from the GKAS program. JU Communication Sciences and Disorders graduate student Chauncey Malone helped pack the bags. Another local GKAS event hosted by Dr. Tabbaa will be held Thursday, May 18, at Sabal Palm Elementary School in Jacksonville, where an estimated 200 children from local underserved families will be guided in proper dental care by several Jacksonville University students who are dentists, as well as hygienists, assistants and volunteers. 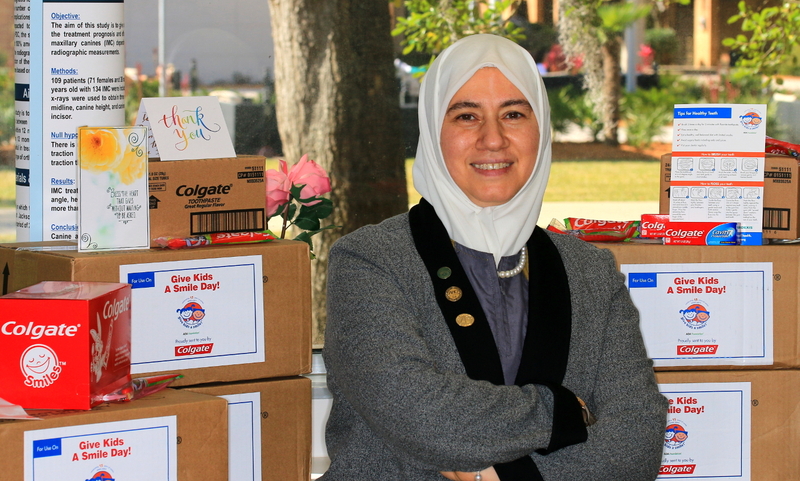 February’s event at the Islamic Center of Northeast Florida was especially touching for Dr. Tabbaa, who came to the U.S. from Syria in 1991. The children watched a video, received the kits and were given oral hygiene instructions in English and Arabic, with translation done by a JU Orthodontics resident (see photos and more here). 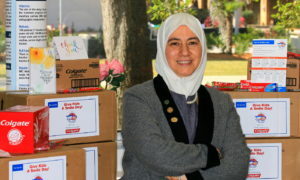 JU’s Dr. Sawsan Tabbaa with the 1,000 Give Kids A Smile dental instruction kits received from the American Dental Association Foundation. Provide free, easily accessible dental services to local, qualifying children. The American Dental Association Foundation’s Give Kids A Smile program was launched nationally in 2003 for dentists to join with others in the community to provide dental services to underserved children. 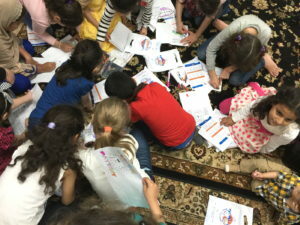 Each year, 350,000 to 400,000 children benefit from more than 1,500 events, all because of the efforts of 40,000 or more annual volunteers nationwide.